Seventeen-year-old Justin’s anemic blood is a blessing. Or a curse. It all depends on who you ask. His fight for survival gets more complicated when he meets Alex’s slave, Cara. Despite coming from different worlds, they’re both prisoners, at risk of being drained by a hungry Vie any moment. When she risks her own neck to help Justin find his sister, he’s left with a terrifying choice. Saving what’s left of humanity. Justin can’t decide which option will get him killed first. If you like male voice protagonists, well-developed and complex friendships, forbidden loves and corrupt societies…do yourself a favour and add ENDURE to your GoodReads list. ENDURE debuts on July 12th 2013. …or so it may feel. For a while. 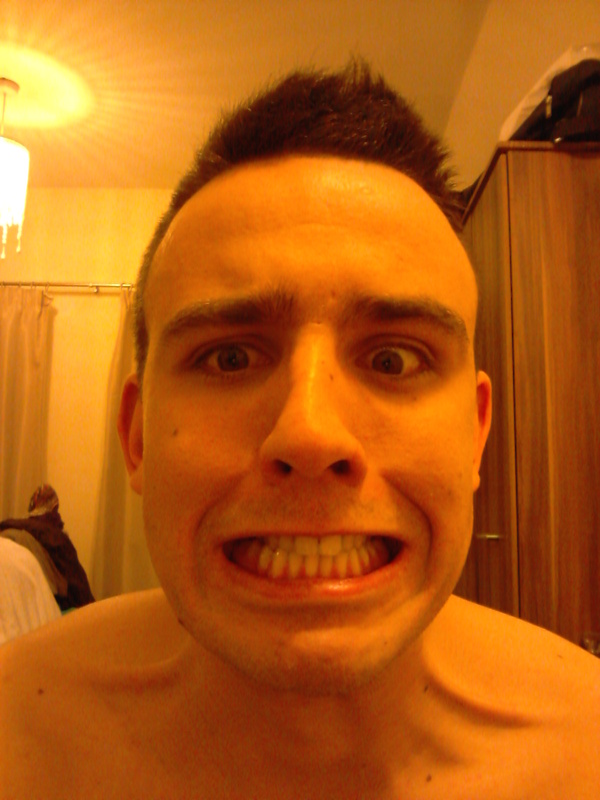 My brother doing his best “just pressed SEND OMG” face. One of the most common questions I’m asked is “have you read my book yet?” I would love to jump straight to a great sub as soon as I get it, but alas, the cogs don’t always turn that way. This post is a guide to acquisitions process at a smaller house like ours. If you’re waiting on that nail-biting decision from us—or indeed, any other house—then I hope this is of use. In the meantime…be nice to yourself. Catch up on your sleep. Eat chocolate. Go for a run. Drink gin. Don’t get those last two mixed up. Your submission hits my inbox (usually a little while after you sent it, unless you’re a roster author and you sub directly to your editor). We invite authors to send their fulls from the beginning, so it’s very much a case of huzzah! Book candy! I usually read a query/cover letter as soon as I open the email, but it may take me a while to read the actual book. Publishing is slow. We like to think at a smaller house that we can be a bit faster than average, but still…books get in the way of books. I try to read everything I’m sent in two weeks or so, but on occasion, it can take longer. I may have more submissions than usual; I may need to work on a book that wasn’t initially on my schedule; deadlines may have changed for a roster book and so my attentions end up elsewhere. Or occasionally, other things crop up (I ended up in hospital recently for “surprise” surgery. Apparently, making acquisitions on morphine isn’t encouraged. Bah). But rest assured: your book is always on my to-do list, and I’m always looking forward to finding a possible addition to my roster. So once you’ve read the book…you can tell me what the answer is. Right? It’s not that simple—but for good reason. Once I’ve read the book (and have maybe taken a few days to think on my decision), I have to submit a recommendation. Trust me when I tell you that I spent a lot of time thinking through a prospective acquisition—I think about who would buy it, how we’d package it, who would want to review it. I Google the author, too—I like to see a decent platform, and preferably evidence that the author acts with decorum on social media. If extensive revisions are required then it can take hours to write them up in a detailed manner. Getting this stuff absolutely right is part of my job. My recommendation will be discussed with the executive editor. Ideas may be thrown around; some books need little work, but others need more development and it’s important to ascertain exactly what that would consist of before we take the offer to the author. Then we have to decide how many books the contract will be for or when it might be released. This can add a fair bit of time to the decision making because we’ll be waiting on answers from various parties. But when it’s go, it’s go. Sending an acceptance is the loveliest feeling in the world. Really quite exciting. Sometimes, if I’m suggesting revisions, I even get a little nervous; I don’t want the writer to think I don’t love the work. If I’m sending any kind of acceptance, I adore it. (I’m very lucky that I get to work with such awesome manuscripts). Rejections…it’s hard. I think our rejections are very gentle and encouraging, though. If I have the time, I may add a comment or two about why the book is not right for us, depending on whether or not I think it will be of help to the author. (Sometimes, a comment may only be of help if it’s a longer one, and I simply don’t have the time for that). If you’ve got questions about acquisitions, go ahead and leave them in the comments—I’ll get back to answer them when I can. (Please note that I’m unable to comment on specific submissions). 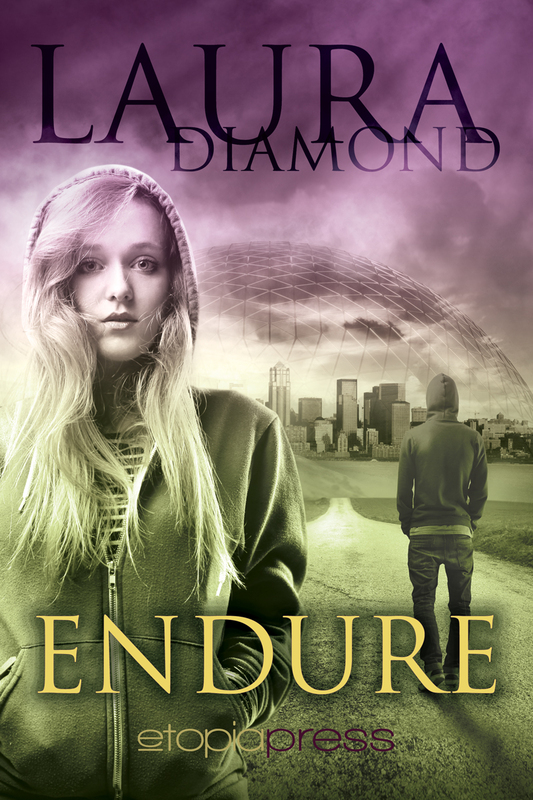 ENDURE and EVOKE, a two-book dystopian YA series by Laura Diamond, in which a teenage boy battles back against a vampiric dictatorship who use humans for both food and reality TV entertainment. BY FORCE and BY CHOICE, a two-book New Adult fantasy romance series by Sara Hubbard, in which a girl is abducted by a group of domineering savages and travels through lands ruled by fairy magic to meet her rather fey fate. Etopia titles usually appear in print, either accompanying the ebook release or at a later date. And since they’re really rather handsome, I thought you might like to see a few of my roster titles. They smell awesome. Top notes of fresh ink; undertones of cut grass and chopped timber. Oy vey. You sold your manuscript. Congratulations! Aaaaaand then you get your edits. Wow. That’s a LOT of edits. Erm. I’ve been there; I’ve had three novels edited myself. And I admit right now–I was awake for hours at night stressing over issues like being asked to remove some semicolons. WHY WERE THEY MESSING WITH MY VOICE? YOUR EDITOR LOVES YOUR BOOK. Your editor wouldn’t have taken your project on if they didn’t think it was a fabulous read. They’ve got to spend hours working on it, and they’ve got to understand it in order to help you make sure it’s everything you want it to be. Sometimes, there are only minor issues; at other times, larger rewrites are requested. As an author, I used to find that this gave me palpitations(! ), but now I find it almost comforting–challenging, yes, but I know I’m making improvements. As an editor, I know receiving a file full of comments and alterations can be nerve-wracking, but each and every one is made because it feels appropriate and wise to do so. Not one is personal, but every single one is designed to polish the manuscript until it shines. During edits, it’s important to remember that you’re a professional and you’re working with other professionals. You’ve got the right to ask questions and to express dissatisfaction at any time, but keep it civil, even if you’re stressed by it. You should expect to be treated in the same polite fashion. 1) If I don’t want to make a specific change, is there something else I can change to achieve the same effect? Can I find a compromise? 3) How much time do I need to complete this pass? Can I do it within the requested deadline? How can I organise myself to meet the deadline? 1) Why am I bothering with this piece of crap when there’s so much wrong with it? 2) What would House do? Oh, look at that. You’ve now finished your edits. More congratulations! The Happy Dance; best performed in private. You’re a better author when you get out of edits. Your editor is probably a better editor, too. You both learn things during the process and the result of it all is your gorgeous book. You’re entitled to feel very smug at this point. Go forth and smug. Smuggit. Smuggery. WHY IS THERE NO VERB FORM FOR SMUG? 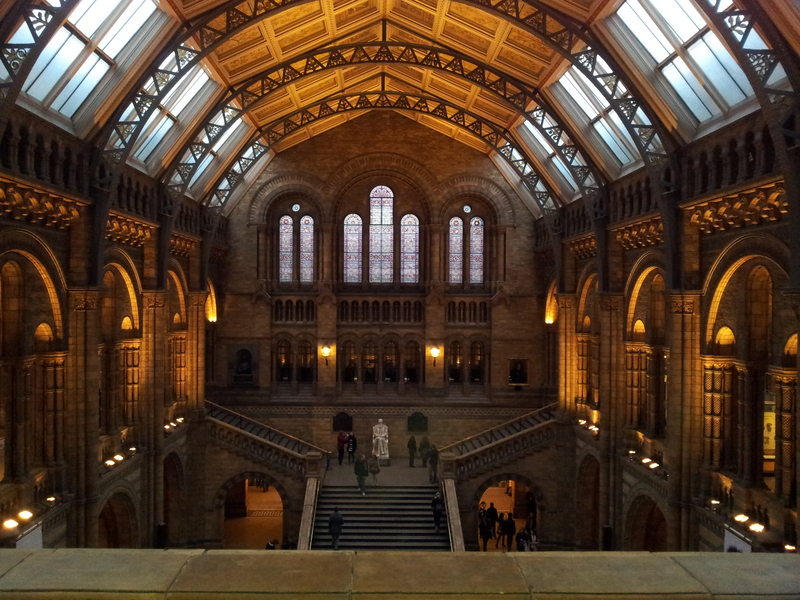 Last weekend, I went to the Natural History Museum in London to research my current novel. 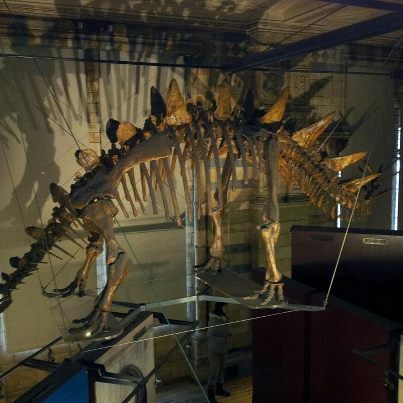 And as I ignored my boyfriend (sorry, darling) in front of the very awesome dinosaur skeletons, I got to thinking about researching a novel well. Poor Steggy needs a burger. And a manicure. As an editor, I’m always looking for new and interesting settings when it comes to considering a project–whether this is a scientifically accurate dystopian future or a suffocating mental hospital. One of the most important aspects to nailing this element is research. It’s my job to question the facts presented within a manuscript. I have to judge each situation; would this happen? Is that logical? Would that be possible? (For one recent manuscript, I ended up speaking to a specialist in the US about accurate police procedure with regards to minors. If you’re writing a novel that deals with this, have you done that?). I don’t want to get excited about a project only to find the premise falls down at the first hurdle–and if the subject is complex, I don’t want this to be pointed out when the book goes out to a particularly well-informed reviewer. Neither, author, do you. Research takes time; in an age where we prize prolific authors, that can put some people off. But if you scrimp: people will notice. Google’s handy. As is Wikipedia. Don’t get me wrong; I use them too. The trick is to check–and double-check–your sources, for everything. Sometimes, Google’s an outdated party pooper or a sarcastic meanie, and you don’t want to fall foul of that. –study ethics in relation to drug trials so you know what would feasibly go on. This will keep your plot realistic. –find out exactly how your “drug” might work on a molecular level. This will prevent someone pointing out that the heroine’s birth control pills will render it useless at a later date (which is pesky). With regards to settings especially, think about visiting your location and studying its culture (at worst, look it up on Google Street Maps and read a heap of Trip Advisor reviews). One of my most common complaints is an under-used or poorly described setting; it’s always annoying to see a book set in Barcelona when for all the detail given, it might as well be in Birmingham. Make the most of your setting and think about how it affects all the senses–smell, taste, touch, sight, sound. Try to get as many of those sensory experiences yourself; eat the food from your location, smell the local plants, listen to its music or the sounds of the busy streets, visit a museum to see artifacts. When you’re in that city, touch the beautiful buildings and feel the stone beneath your fingers. Absorb, and be inspired. Write what you know, they say. And they may well be right–if you’ve been a doctor for the past ten years then you may be well placed to write a story set in a hospital. But be very aware of the fact–especially if you’ve been out of your job for a while–that your knowledge may be out of date. Check everything. (This also applies to adults writing for teens. In order to write a teen character convincingly, it’s wise to observe specimens in their natural habitat. There may be strange new customs–don’t be alarmed. Adapt. Also, please don’t set your novel in the timeframe you were a teen unless it is absolutely essential to the plot). 4) But I’m Writing Fantasy! Writers are allowed a little poetic license, and it’s true that if you write fantasy well, readers will suspend their belief for all sorts of things. People who magically turn into dragons? No problem. Werewolves? Heck, why not? But remember that even in fantasy, all of your scenarios must be plausible; just because I believe that vampires could exist in your mythology, doesn’t mean I’ll believe the heroine will buy that the first time she’s exposed to them. You’ve got to convince her before you convince me, and that takes time. The same goes for all of your contemporary scenarios within fantasy; if your werewolves are fighting a court case, we should see realistic and accurate court procedure. 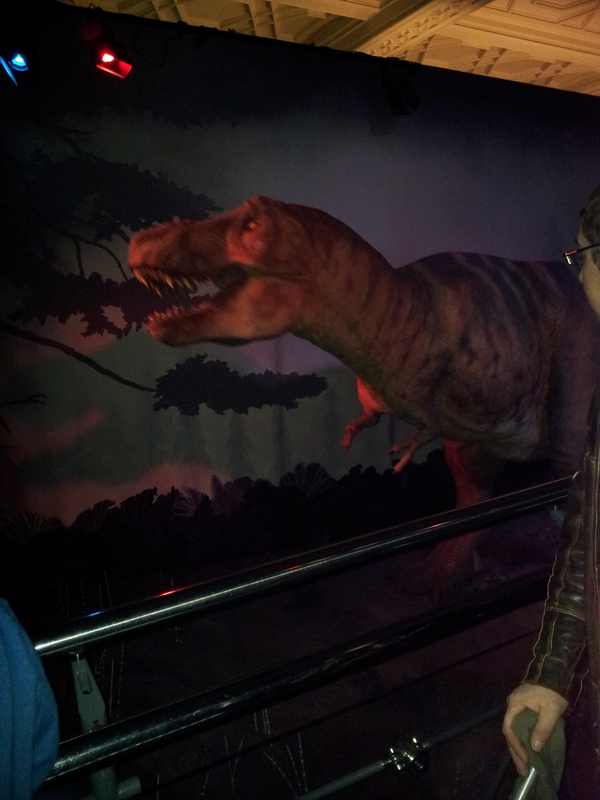 We finish with a giant animatronic t-rex! There are benefits to researching your novel well. If your premise is cool, you’ll have a lot of interesting photographs and info snippets to share. Use these to your advantage. I see a lot of successful authors posting about their research visits and sharing photos on social networking sites; I find this endelessly fascinating, and it also tells me how much they love what they do. Seeing how engrossed these authors are in their subjects also makes me trust them; I feel, as a reader, that they really know what they’re talking about. So as you research your manuscript, keep your materials–when your release day nears, they’ll come in handy. I hope, as always, this has been of some help. Now go forth and give your novel that extra dimension. Two little words can make me clutch my Kindle with glee, readers, and they would be series potential. I don’t actually get them from your query (although you may mention it there); I get them from your brilliant first-in-a-series (FIAS) manuscript, and it’s brilliant because it has constructed these four key elements with pluck and skill: story arcs, protagonists, ensemble casts and world-building. In a FIAS, you have two sets of story arcs: primary and secondary. The primary arc details the story in this book. There will be a beginning, a middle and an end for both the plot set up at the start, and the point of character conflict that has been brewing (got that? 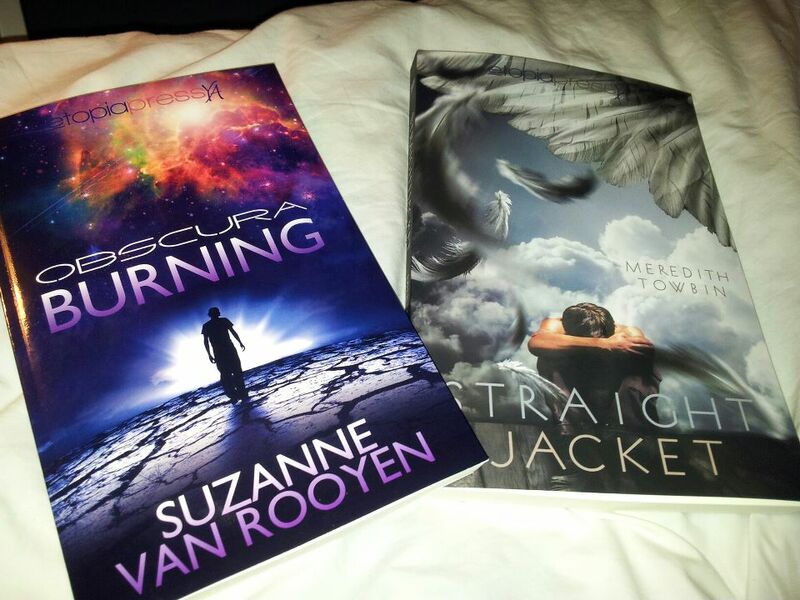 Arcs are made of plot conflict and character conflict). The secondary arcs stretch for the entire series and linger in the background to varying degrees. You will resolve points of them bit by bit, leading to a crescendo in the last book. By the end of FIAS, the reader must be satisfied by the end of these primary arcs. The secondary ones dangle to tantalize. In other words: that trilogy you’re writing better be three separate books, mon ami, and not one giant, sprawling manuscript carved into three bloody pieces. The most important thing to remember is that the secondary arcs should not overshadow the primary arcs. Book One still has to be drizzled with awesomesauce and served with a side of hell-yeah-and-your-mother if you want anyone to buy the second. Keep them active When a character is thrown into a new world or situation, it’s easy to let them be swept along by exciting events and other characters. But don’t let them observe from the sidelines or continually be rescued; don’t allow them to remain passive. Secondary characters can be passive sometimes, but your protag is special. Special! The first time that weird thing happens? Okay, yeah, she might stand there in shock. But the second time, she can’t help but do something. That’s why you’re writing about her. Never forget their point of conflict Protags are driven by their plot lines, but their personalities shape their actions. I see lots of average girls thrown into paranormal worlds, for example, and ending up in dullsville. How has this girl been shaped by her first kiss, that thing that girl said to her at the grocery store when nobody was looking, the diary she found in the park and reads obsessively? And how does that affect the way she reacts to all these amazing things? Give her personal demons and throw her into the ring with them. She’s got to finish this book a different girl to the one she was when she started–and not just because of a boy. Beware The Chosen One You don’t need a prophecy or a destiny to be awesome. Hell, it’d be nice to be the only one without a prophecy. That’d be fresh. With a prophecy, half the time, you give away the end of the book at the beginning. (This isn’t to say that the idea can’t work; more that it will have to work a lot harder to impress me). You need a strong, charismatic ensemble cast to carry a series. 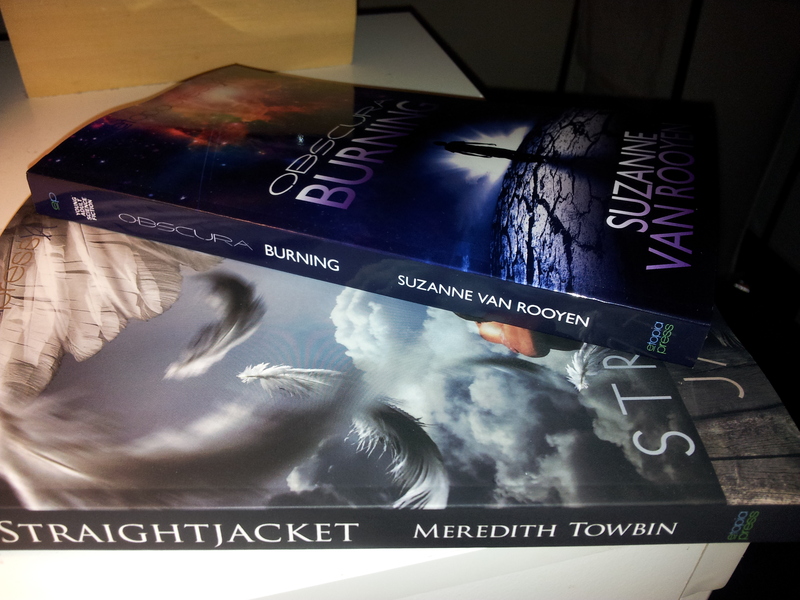 Yes, they must not overshadow your protags, but equally, your readers have to long to meet them again. (It may be easier, if you’re unfamiliar, to look to TV shows for a good demonstration of this kind of dynamic: Scrubs, Buffy, House, Gossip Girl). Save the tortured souls for later on You want personal conflict in your FIAS, but too much can overshadow your bold new world and your protag can come across as whiny. So shape your tortured, dark character as secondary in this book and let us love them in small doses. We’ll lap up their book when it comes because you’ve done the groundwork. (This isn’t to say that your FIAS protag can’t be troubled, but there are varying degrees. In my experience, readers will tolerate a lot more depression and grit as a series goes on). Beware the sausage fest Ensemble casts are often made up mainly of male characters. This doesn’t have to be a bad thing–MANFLESH!–but remember that your female characters will need to work twice as hard to be cool and memorable. Don’t let them shoulder all the stereotypical rubbish; let them shine. And don’t let them exist primarily as objects of desire for your male characters–it’s far more interesting when not everyone fancies them, or even likes them. Plan your secondary cast member as you would a protag Secondary characters often end up all sounding and acting alike, or falling into stereotypical roles–this is one of my biggest complaints. They should have their own background, own journey, own personal demons (perhaps literally! ), and you have to write them with just the tenth of space that a protag gets….but still get a lot of this across. It’s an exercise in subtext and the mark of a skilled writer. Get to it! Don’t forget the comic relief I see a lot of depressing books/dark worlds crying out for a sense of humour, and a good secondary character can be the light in the dark. Choose your humour wisely; some books work better with a few acerbic one-liners than a catalogue of funny incidents. Also remember that a comic relief character should have another purpose that is just as important in order to flesh them out. Vanquish The Villains of Hamtasy Your villain will be scariest if they surprise me. Don’t make them talk like a Bond Villain. If you’re writing a villain, go Google the Evil Overlord List and check your character against it. The stakes are high in your book and this is the person who shapes those stakes; they are just as important as your protag, even if they only get ten percent of the page time. Think about that. Think about what this person has done to the world you’ve created, and find subtle to ways to show us the consequences. Focus on world elements relevant to this book One of my most common complaints is that an enemy/paranormal dimension is mentioned a few times but never explored, and it bugs the hell out of me (or equally, that an important element is not explored enough). If Villain X is currently in the background and you’re going to mention her to set up meta conflict, I better meet them in this book, even if it’s just a fleeting glimpse so that I feel the impact of the mess they’ve left behind. Think breadcrumbs to the gingerbread house. When I do meet them properly, you better not let me down! Do not be over-ambitious with your story arc You are telling this story in this part of your world. The others can wait. Don’t visit other parts just to fill in a few chapters, and if you mention other elements in passing as world-building, show me how it’s relevant to this book. Everything that I experience as a reader should be well-explained. Write a world that readers want to live in Reading is, for the most part, about escapism. If your world offers me my own pet stegosaurus, I’m going to want to live there (especially if I get a special badge). If the stegs turn out to be homicidal, write your characters with such force of personality that I still want to live in that world full of flesh-hungry dinos, just to meet these people. (This is key with dystopia). There you have it: four key elements to writing the first book in a series, with my first mention of the Evil Overlord List (it won’t be the last. Oh NO). Go forth and write something cool now, please. *Somebody seriously needs to write this one. Or just make these magic books.